Welcome Home! 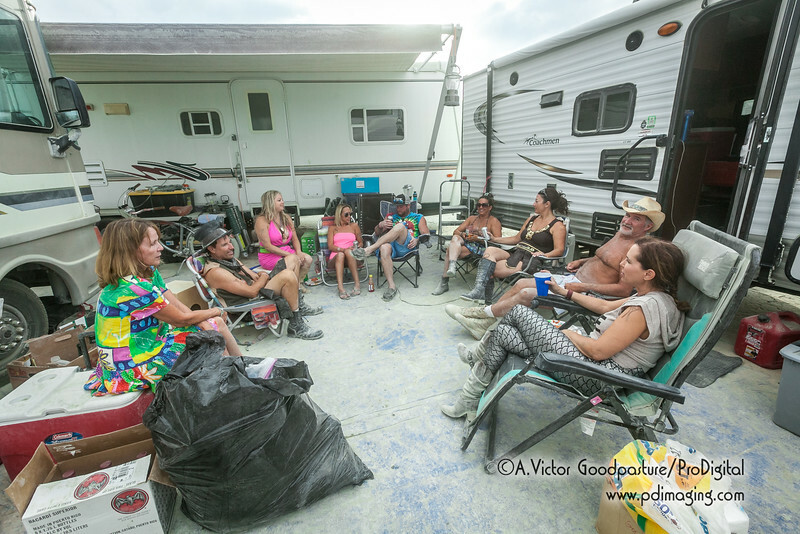 This gallery is Day 8 (Saturday Sept. 3, 2016) of Burning Man. These photos are for personal use only. If I took your photo, I will include it in the gallery of the day I took the image. Feel free to pass this link to your friends and other attendees. 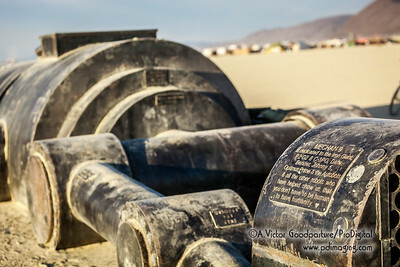 For information rgarding licensing or for hiring me for your photography assignment, please call or email. Thank you. Comments are welcome! The final gallery will include the evening of Sept. 3 and the early morning of Sept. 4. 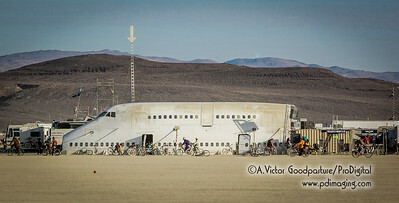 The Temple of Anointment camp rests before heading out to the playa for the The Man's burn. The last morning of "The Man." 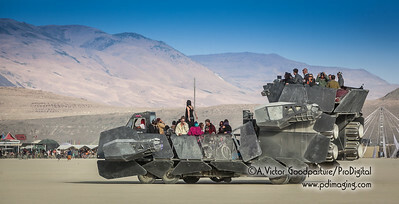 Mechan 9 was one of the coolest art structures on the playa. 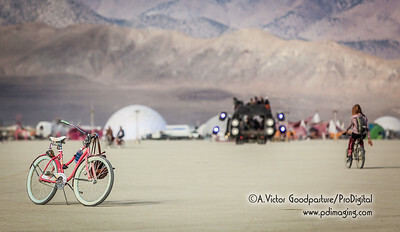 A lone biker rides toward "The Man" while passing abandoned bikes. 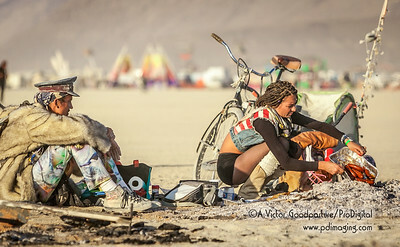 A couple massage each other within the warm ashes of an art work burned the night before. 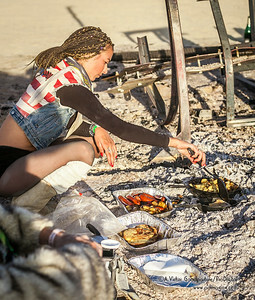 A burner cooks breakfast on the hot coals of an art sculpture burned the night before. Saturday morning at sunrise, there is plenty of activity on the playa... people going back to their camps after partying all night. 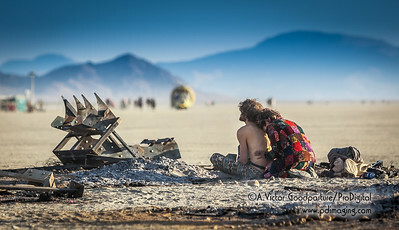 A burner meditates on the playa while workers prep The Man for the evening's burning. 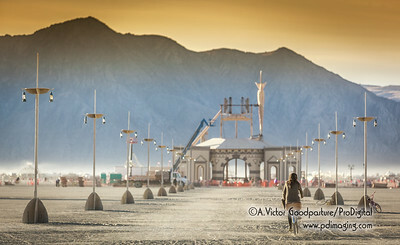 Tower of Ascension offers a nice view of the entire playa. The Black Rock Lighthouse Service enjoys a few more hours of visitors before it is closed in preparation of it's 1 am burning. 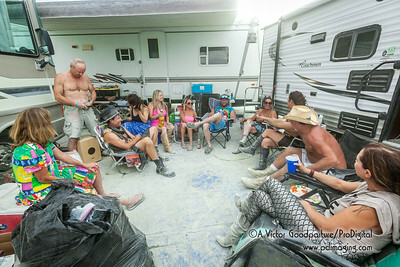 A bike trailer offers burners a way to be prepared for heat and cold while partying throughout the day and night; as well as having supplies of food and water. 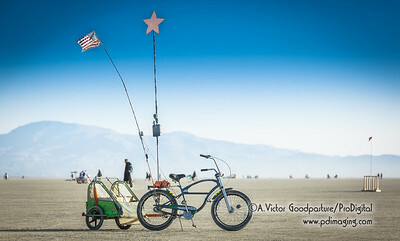 One of the smallest transportation vehicles on the playa—a one-wheeled electric cycle. 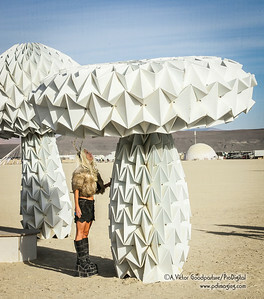 Shrumen Lumen is made almost entirely of paper/cardboard. As a person stands underneath it. . .
. . . the Shrumen Lumen expands. 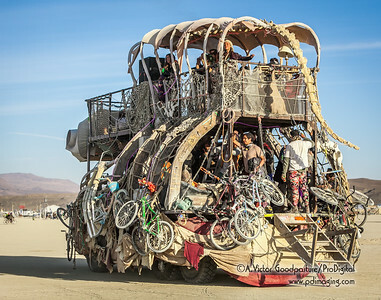 This fantastic art car on a fire truck chassis can scissor-lift its large center basket 60 feet in the air. 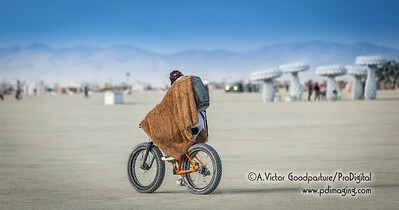 A properly dressed burner survived the chilly night partying. He now heads back to his camp.